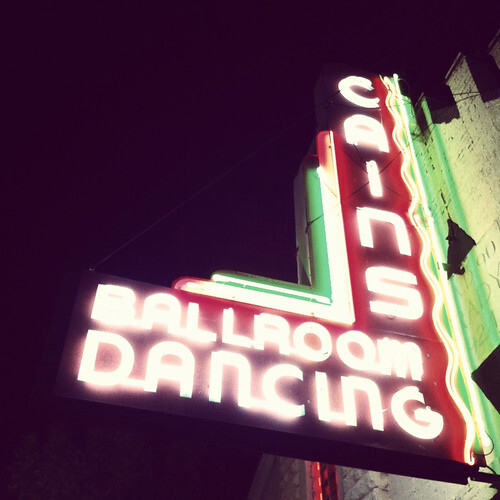 a few weeks ago, matt and i hopped in the car with some friends and drove over to the cain's ballroom to see the head and the heart play in tulsa. 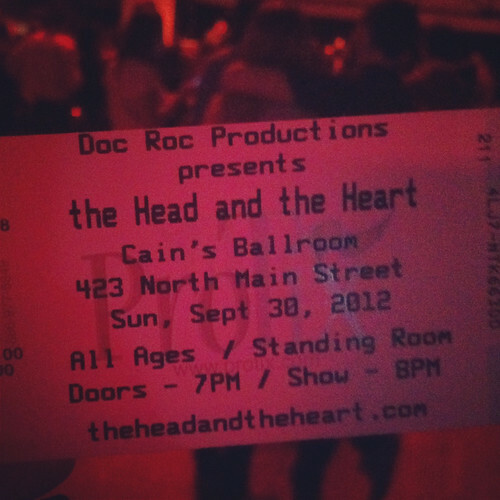 it was SUCH a good show. 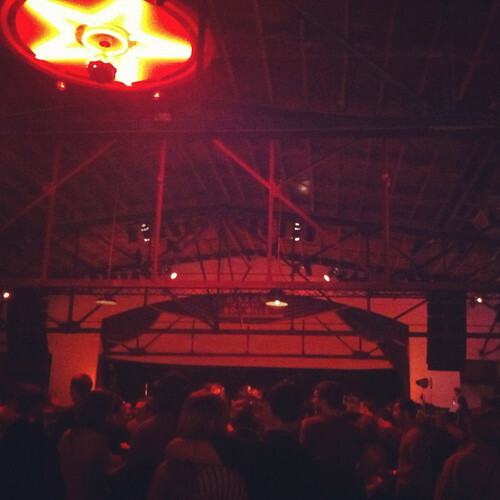 the venue was super rad. it's an old country music hall where bar fights were the usual and the rafters are open. 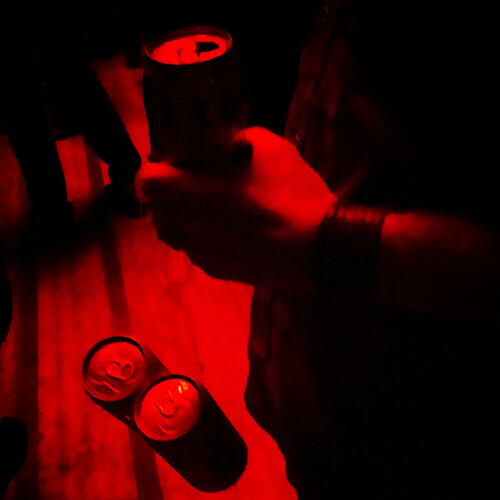 now, loads of bands from all over the musical map come to perform. you can even buy a 6pack. but the band was even better than i had thought possible. and when they sang down in the valley, the audience went crazy! 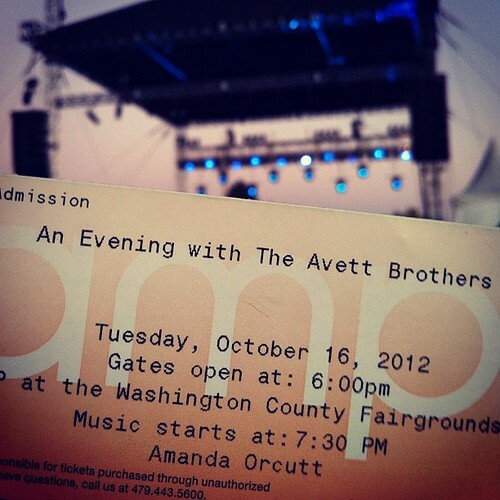 tuesday night, matt and i went to see the avett brothers. whoa. high energy and super fun. 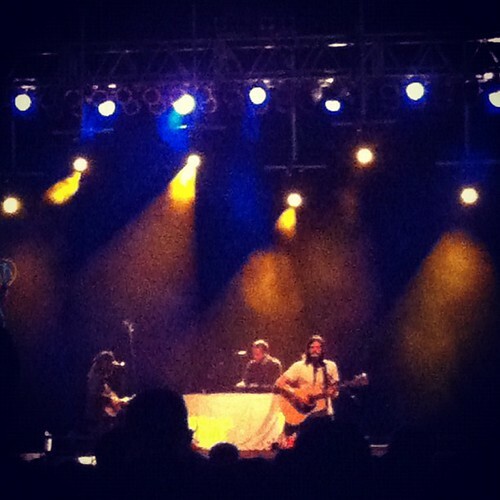 i've never seen banjo playing like that which scott avett can jam. as an outdoor venue in october, it was a bit chilly for my bones. but i managed to jig enough to keep myself from freezing. and isn't head full of doubt/road full of promise just the best song EVER?! listening to the band live made me fall in love with them all over again.